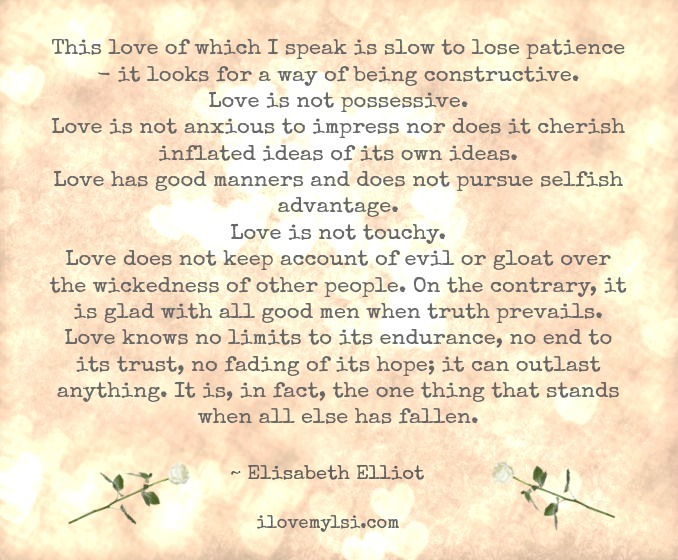 This love of which Elisabeth Elliot speaks is all encompassing and, is what stands when all else has fallen. This love is all encompassing. 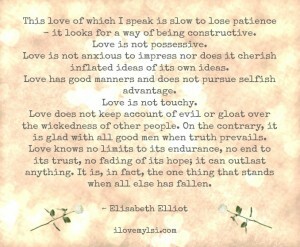 This love of which I speak is slow to lose patience – it looks for a way of being constructive. Love knows no limits to its endurance, no end to its trust, no fading of its hope; it can outlast anything. It is, in fact, the one thing that stands when all else has fallen. How we need another soul.